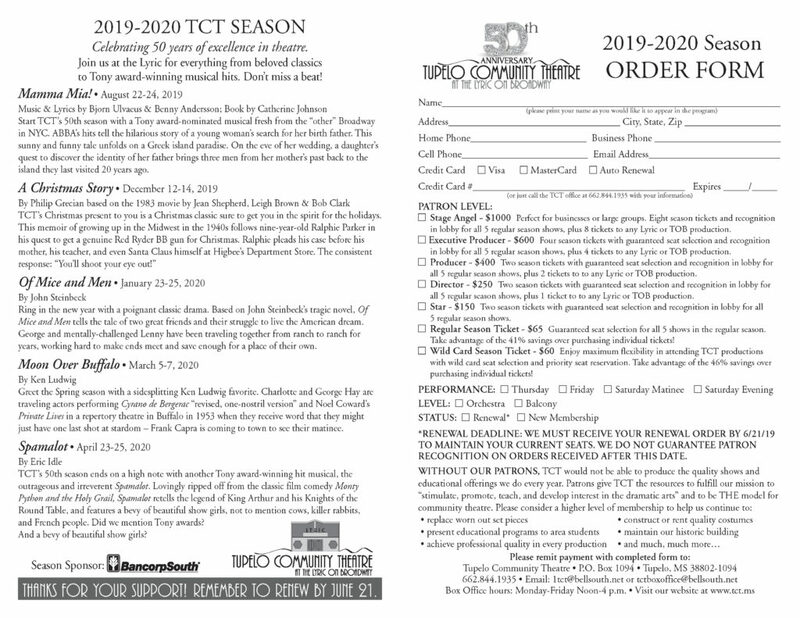 TCT is excited to announce its 49th season. 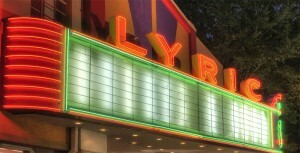 With classics, musicals, comedies, and dramas, there is something for everyone. Purchase soon so you don’t risk missing out on a single production! Please consider becoming a patron of the theatre. The Star level starts at only $20 more than the cost of your season tickets. Call our Box Office Manager Lisa Hall at 662-844-1935 to purchase your tickets. The Marvelous Wonderettes takes a cotton candy-colored musical trip down memory lane to the 1958 Springfield High School prom where we meet The Wonderettes – four girls with hopes and dreams as big as their crinoline skirts. The show follows their lives and loves from prom night to their 10-year reunion. The score has more than 20 chart-busting hits such as “Dream Lover,” “Lollipop,” and “It’s My Party” that will have you tapping your foot and wanting to sing along. This dramatization of C.S. Lewis’ classic novel set in the land of Narnia, recreates the magic and mystery of the great lion Aslan and his struggle with the White Witch, and the adventures of Peter, Susan, Lucy, and Edmund. A story of love, faith, courage and giving, with its triumph of good over evil, The Lion, the Witch & the Wardrobe is a true celebration of life. woman who has fallen in love with a sweet, smart boy from a normal, respectable Ohio family. And she has invited his family to their home for dinner. In one fateful hilarious night, secrets are disclosed, relationships are tested, and the Addams family must face up to the one horrible thing they’ve managed to avoid for generations – change. Season Tickets for 2017-2018 On Sale Now! Season tickets are now on sale for the 2017-2018 productions at Tupelo Community Theatre at the Lyric on Broadway. The season includes The Robber Bridegroom August 24-26, The Best Christmas Pageant Ever December 7-9, Last Train to Nibroc January 25-27, Blithe Spirit March 8-10, and Hello Dolly April 26-28. Season tickets begin at $60 for all 5 shows, a 46% discount over individual tickets. The renewal deadline is July 7th and priority for seating is given based on the date tickets are purchased. Detailed season information is available at www.tct.ms or by calling the TCT box office at 844-1935.